The Drain Camera Shop is a locally owned Canadian company with sales and service to all of Canada and the United States. We believe it is important for a company to be community minded, that is why we strive to give back to local causes and charities. The Drain Camera Shop doesn’t just offer the best CCTV drain cameras for sale. We also provide the best service. Talk to the The Drain Camera Shop’s staff to learn about the best equipment the market has to offer. 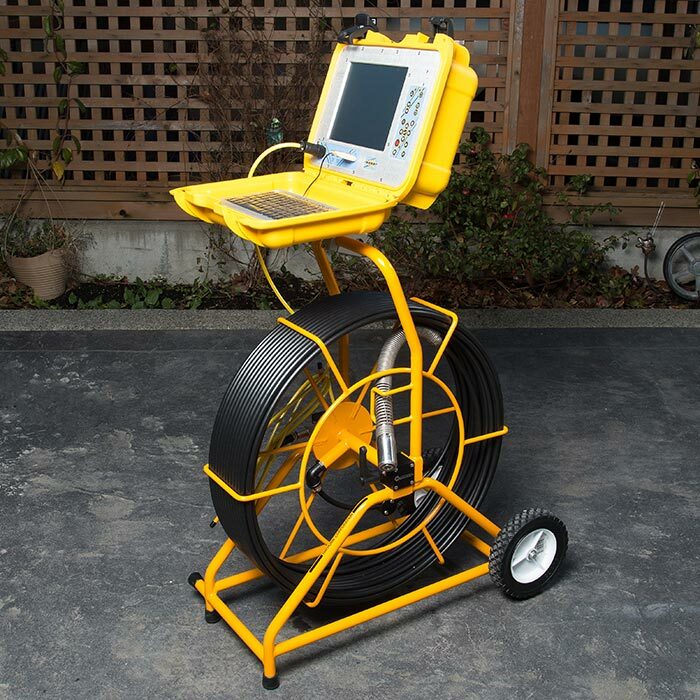 Grow your business by offering professional drain inspection cameras. 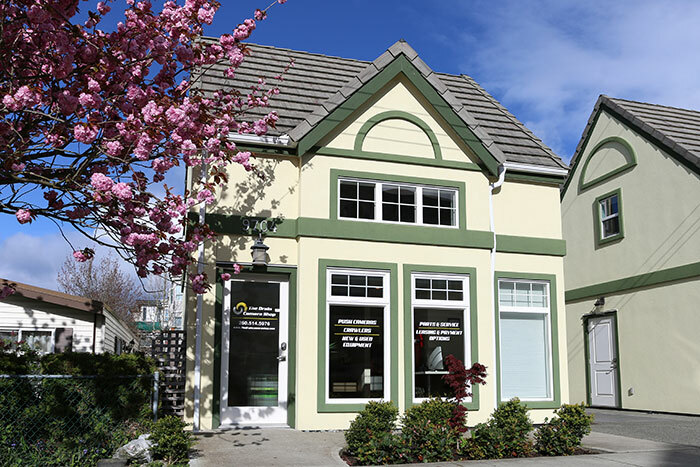 Our knowledgeable staff will help you purchase the equipment that suits your needs. 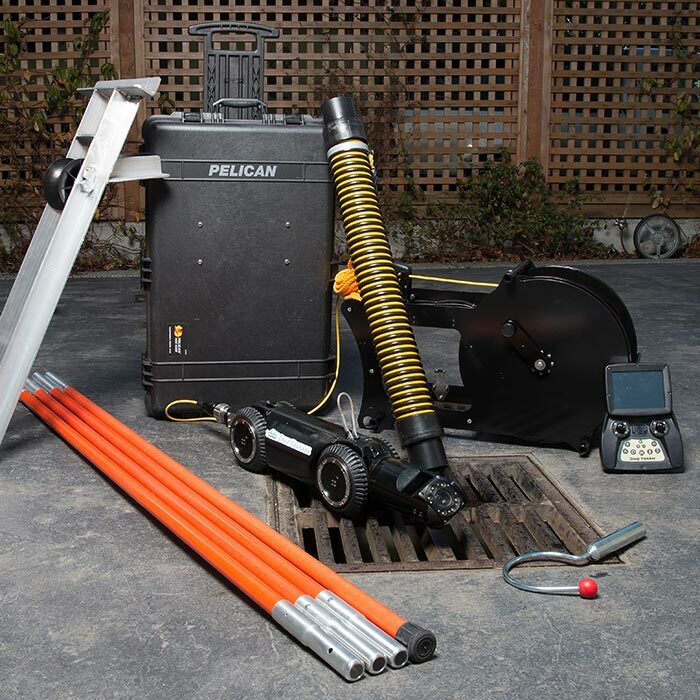 Our easy payment plans will help you get to work with your new drain camera right away. Contact The Drain Camera Shop today to learn about the amazing products we have to offer! Waiting for repairs on your drain camera equipment can be tough on business. That’s why The Drain Camera Shop provides fast, personal, and local service. Just call us at 1-888-913-3419, and we’ll put you in touch with your local service department. Contact The Drain Camera Shop today to experience our service! At The Drain Camera Shop, we pride ourselves in providing excellent customer service. Our customers are front and centre of everything that we do. The training we offer ensures equipment is used to its full potential. Our demonstrations guarantee that the piece of equipment is exactly what you need. Even if you don’t find what you need on our website, contact us! We have the ability to customize equipment to fit your needs. We want to break down the obstacles for our customers, which is why we also offer easy payment options. Then after you purchase equipment from The Drain Camera Shop, we’ll be there to provide you service when you need us. We know the importance of work and service. This is why we provide local and personalized service throughout Western Canada and the United States. 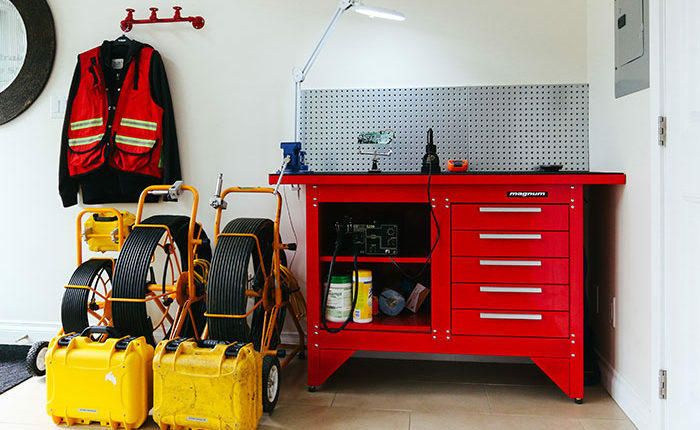 For service that puts you first and makes no excuses, contact The Drain Camera Shop today! Part of providing great service is providing great products. The Drain Camera Shop offers the best equipment in the market. We offer products that feature the latest technology. From the crawlers to push cameras, The Drain Camera Shop believes in only providing our customers with the most advanced products. The user-friendly equipment makes tasks easier. The straightforward and simple operation will increase your productivity and help you serve more people. While doing your work, you can count on our durable equipment. Their dependable design makes them built for the toughest jobs you encounter. Our equipment’s powerful and rugged design help them endure the worst sanitary and storm drain conditions. We’re confident in our equipment because they’ve been engineered to be the best in the market. They’ve been tested against other equipment, and they’ve come out on top. 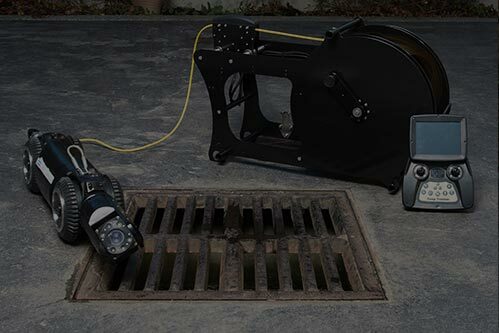 Learn more about the highest quality sewer video inspection on the market! 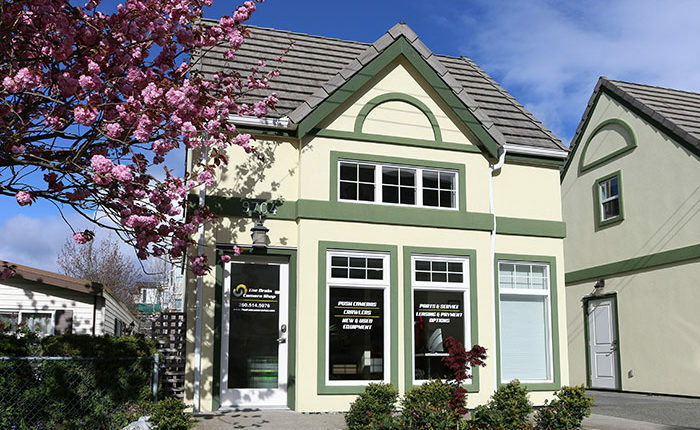 The Drain Camera Shop is locally owned and operated in British Columbia, but we provide service to clients throughout Western Canada, and the United States. Our goal is to serve you and help your business grow by providing personal service and great equipment. Hathorn push cameras for sewers and reels are easy to use and ruggedly designed to withstand the worst conditions. They come in a variety of sizes so you’re sure to find a fit with their amazing products. Their camera systems have easy menus to navigate. You’ll be able to record on a USB, or save the recording directly on the hard drive. The simple interface makes transferring media between drives or to a computer a breeze. 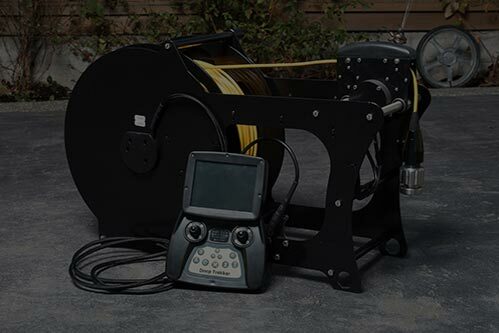 Learn more about The Drain Camera Shop’s sewer cameras for sale and reels! The IRIS and Deep Trekker DT340 crawlers and cameras are designed for the worst sanitary and storm lines. You can depend on their powerful and rugged design to endure the toughest jobs you can throw at them. The IRIS can increase your productivity, and help you serve your clients better. 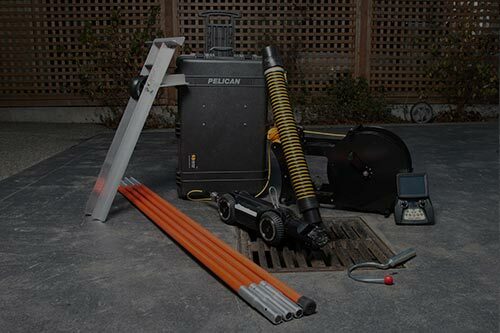 It’s also one of the most advanced and affordable ridgid sewer cameras. 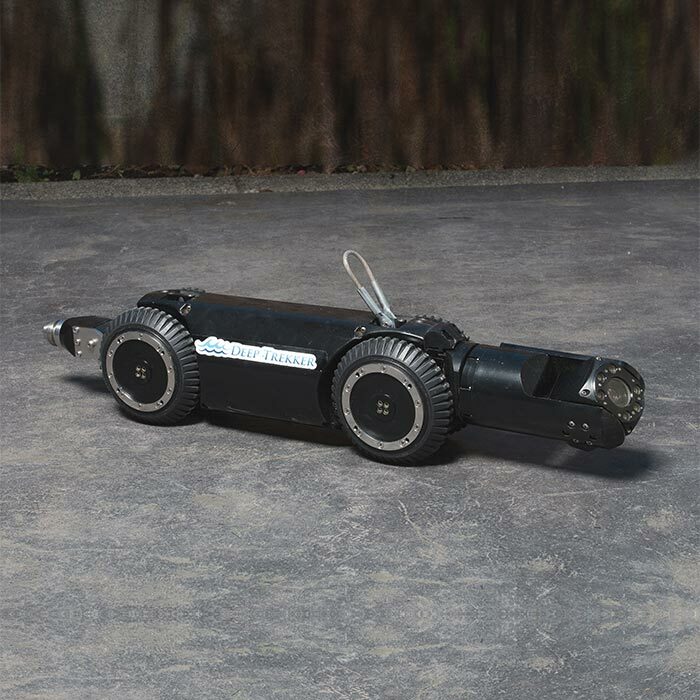 The Deep Trekker DT340 Pipe Inspection Crawler Camera features a technologically advanced, yet portable design that comes in only two carrying cases. Learn more about The Drain Camera Shop’s crawlers and cameras!